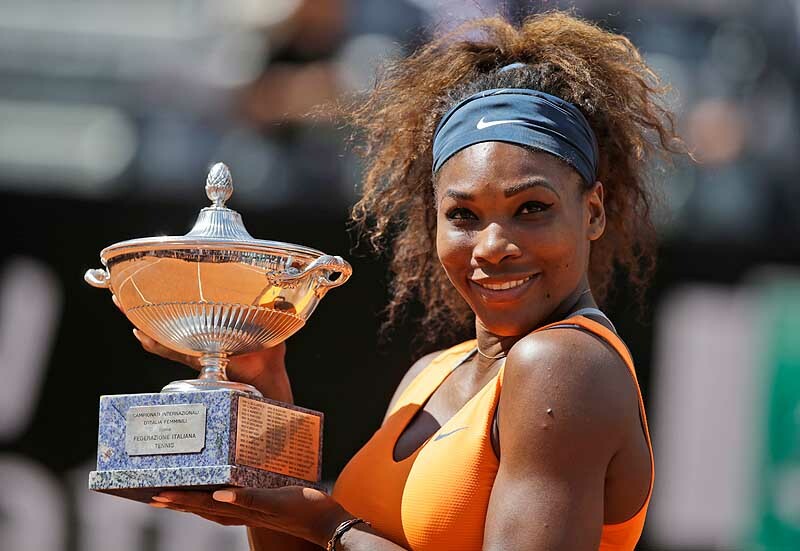 Rafael Nadal wins this tourney for the seventh time, and Serena Williams wins her fourth straight title this year. ROME — Rafel Nadal controlled the Italian Open final from start to finish, beating Roger Federer 6-1, 6-3 Sunday in the 30th meeting between the two stars. Nadal improved to 20-10 in his career against Federer, and won the Italian Open for the seventh time. He also showed once again that he’ll be the player to beat when the French Open starts next Sunday. It was Nadal’s fifth title since returning earlier this year from a seven-month layoff due to a left knee injury. In the women’s final, Serena Williams won her fourth consecutive title of the year in impressive fashion, defeating third-seeded Victoria Azarenka 6-1, 6-3. The top-ranked American will enter the tournament at Roland Garros on a career-best 24-match winning run.